My baby is sick, I'm sick, my daughter has the day off from school... Today's article just isn't coming together. 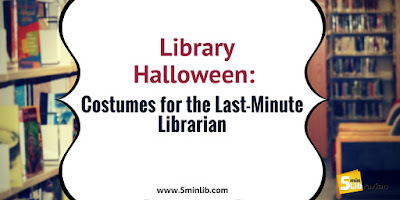 So, I hope you don't mind, but I decided to repost a popular and timely article from a few years ago -- Halloween Costumes for the Last Minute Librarian. 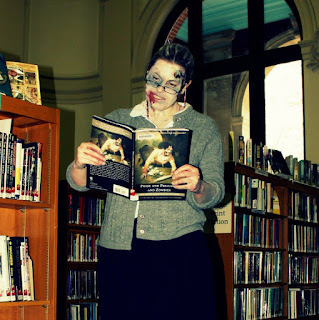 Halloween, how do we love thee? Of course, when you're programming, weeding, ordering, organizing, doing statistics, and everything else in our daily lives, holidays can sneak up on you. 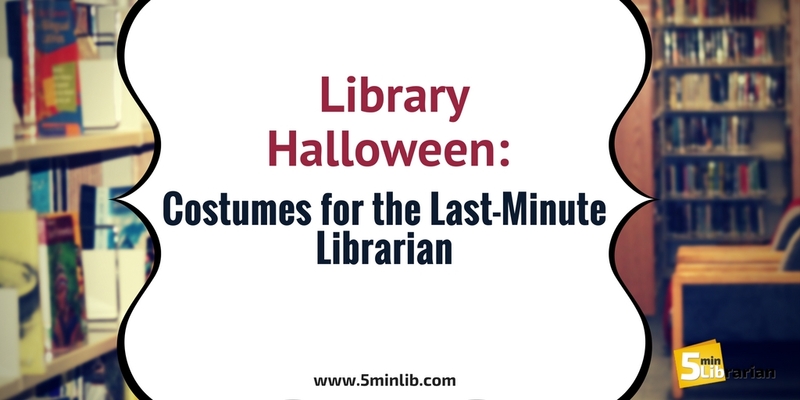 In the interest of making this holiday fun without adding any extra stress, we present a variety of inexpensive, book-themed costume choices for the Last Minute Librarian, some of which cost no money at all! It's our very own Kat! 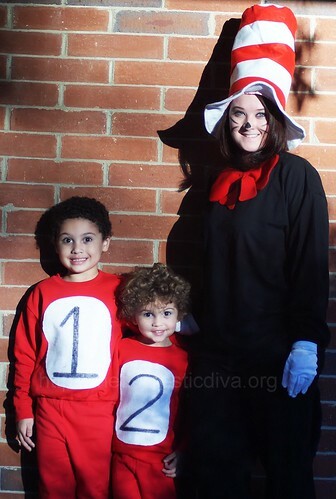 Cat in the Hat - you need a black sweatsuit, a floppy hat, and a long piece of felt that you can tie into a bow tie. Add white or blue gloves and a little facepaint for a black nose and whiskers, and you're all set! Where's Waldo - Waldo is easy as pie! You'll need a red and white striped shirt and hat, blue jeans, and glasses. Adding his accessories (binoculars, a cane, a camera, etc.) can be fun, and you might already have them! Waldo's girlfriend Wenda is similar - instead of jeans, you'll want a jean skirt and red and white striped stockings. 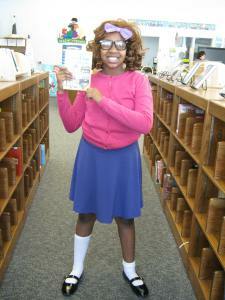 This one is from a school's Read Across America day! Junie B. Jones - Much like Fancy Nancy, all you have to do here is wear a lot of loud patterns and colors at once, and tie a big, floppy bow on your head. Glasses are helpful but not mandatory. Sassy attitude is mandatory. Fancy Nancy - This one is super easy. Put all your fancy clothes on at once! Bonus points for feather boas, fancy sunglasses, and any thing with lace, sparkles, or rhinestones. Ms. Frizzle - Everyone's favorite teacher. 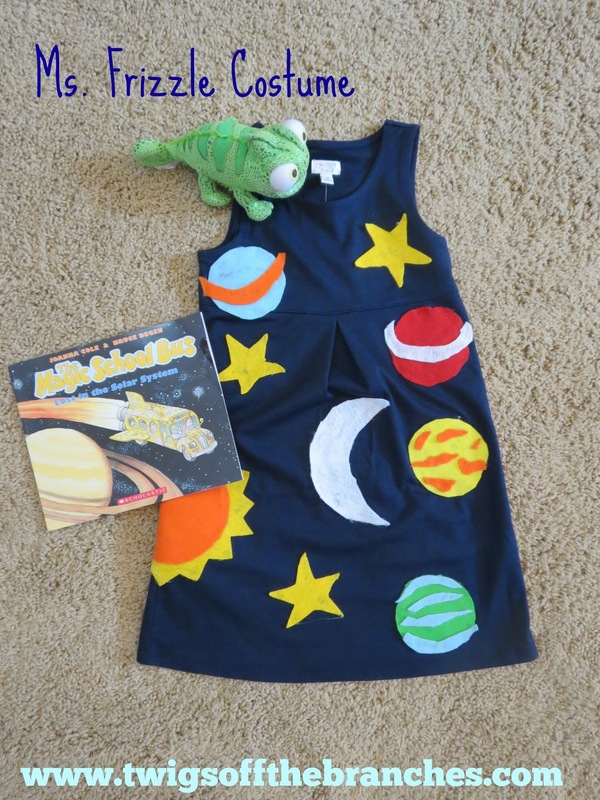 This one is especially fun because you can pick any topic there is, and Ms. Frizzle has probably taught about it. 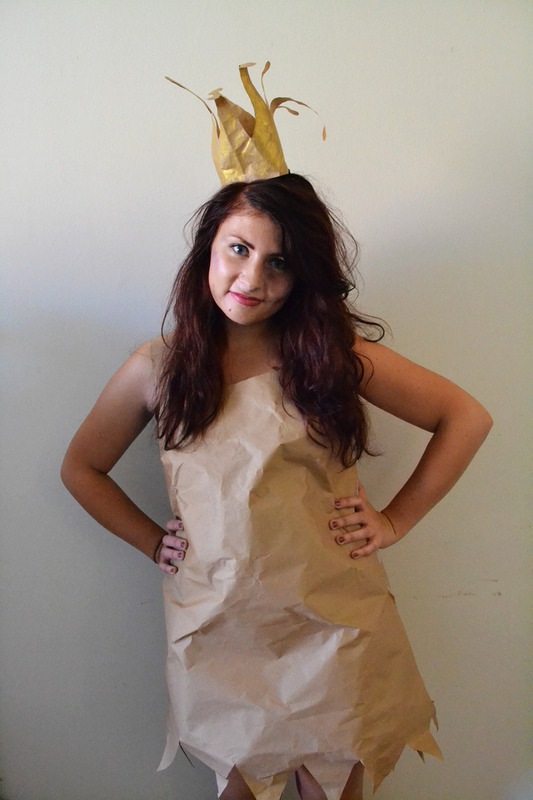 Cut out some felt shapes and stick them to an existing dress (and shoes), and put some in your hair. Special kudos for adding Liz the lizard. 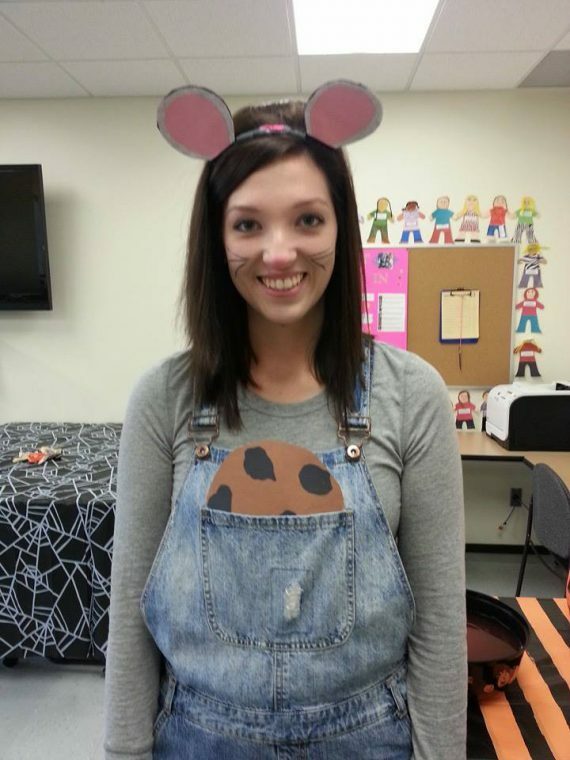 If You Give a Mouse A Cookie - overalls, a gray shirt, and a big, paper cookie! Mouse ears (which appear homemade here, and look fabulous) and a pink mouse nose with black whiskers complete the look. 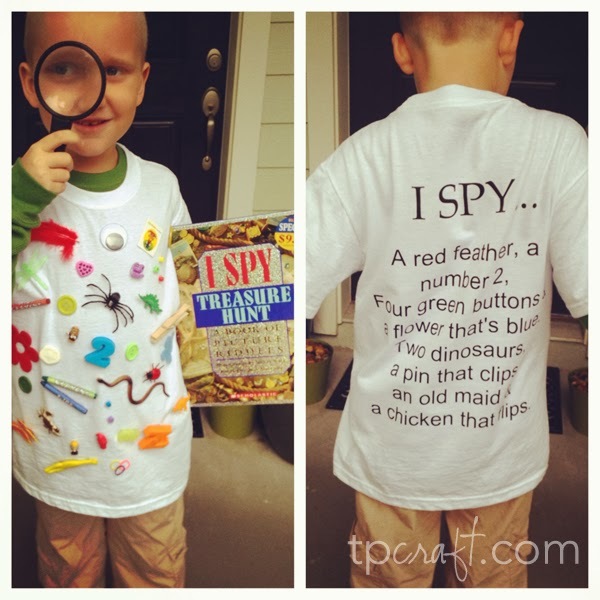 I Spy - What a fun idea! Stick some stuff to the front of your shirt, and a list of what's there to the back! I love that the boy in the photos also has a book and a magnifying glass. 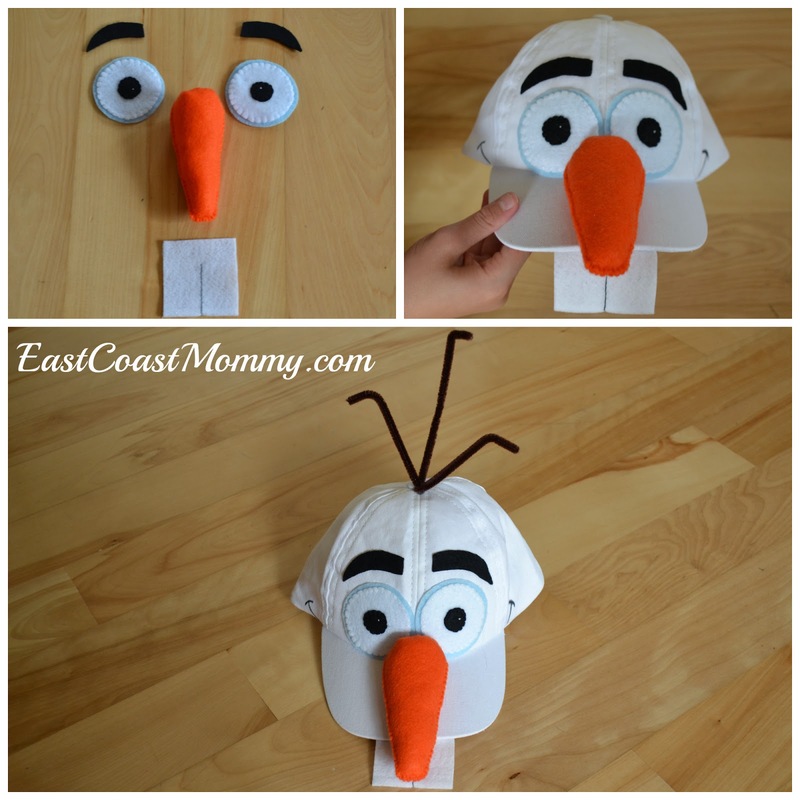 Olaf - Because everyone has been Elsa by now. Lady MacBeth - for the adult librarians out there! 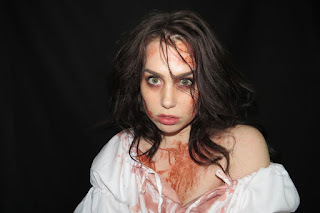 Put on a long nightgown, mess up your hair, carry a candle, and have (fake) blood on your hands, face, and nightgown. (If you're feeling adventurous, you could have a dagger, too.) If anyone bothers you, you're allowed to tell them, "Out! Out!" Of course, we'd love to see what other ideas you come up with! Please let us know (and show us pictures!) in the comments here, on our Facebook page or on Twitter.